Parkinson's disease, Alzheimer's disease, and motor neuron disease share a significant common feature: selective death of neurons in restricted regions of the brain. 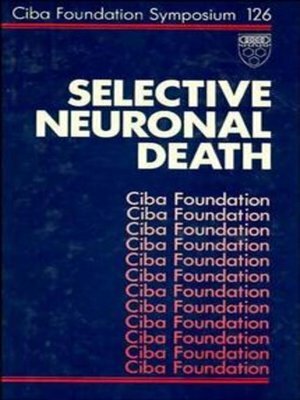 This international symposium, held by the Ciba Foundation in 1986, is the first to bring together neurophysiologists working on neuronal death and neuropathologists dealing with human degenerative brain disease. Participants describe the causes and sequence of events leading to neuronal death and discuss what can be done to prevent it. Among the topics covered are recent advances in the understanding of agents such as trophic factors, excitotoxins and poisons that are known to be involved in neuronal death; examples of neuronal death during normal development; and the role played by endocrine mechanisms and neuronal activity. Also considers trophic factors controlling the survival of neuronal transplants and the therapeutic prospects for tissue transplantation.